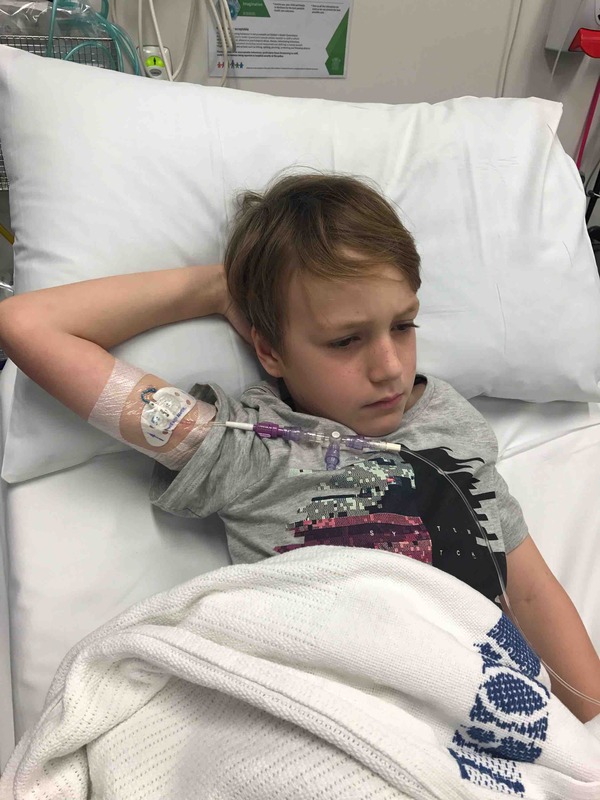 Please help support the Meara-Fletcher family who are sadly dealing with the trauma of their son Kynan, who is 7 years old and suffering from Influenza A, Meningitis and a blood clot on the brain at the Lady Cilento Hospital. 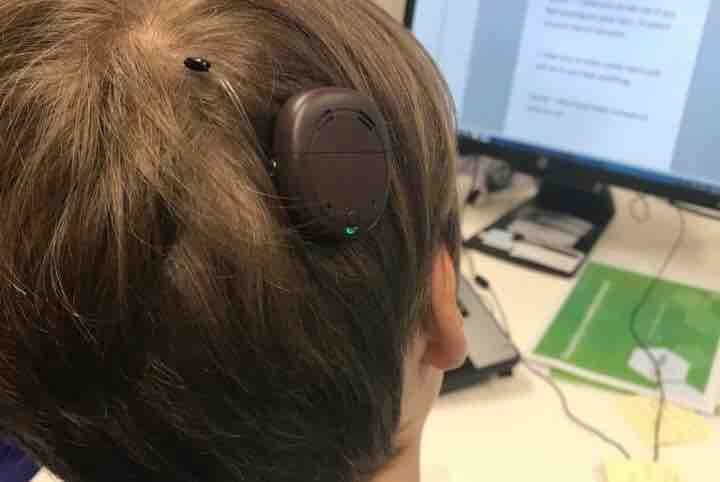 The family have now been told he has lost 100% hearing in both ears and will need cochlear implants. Kynan is the light of his family. His life is a blessing they celebrate daily. 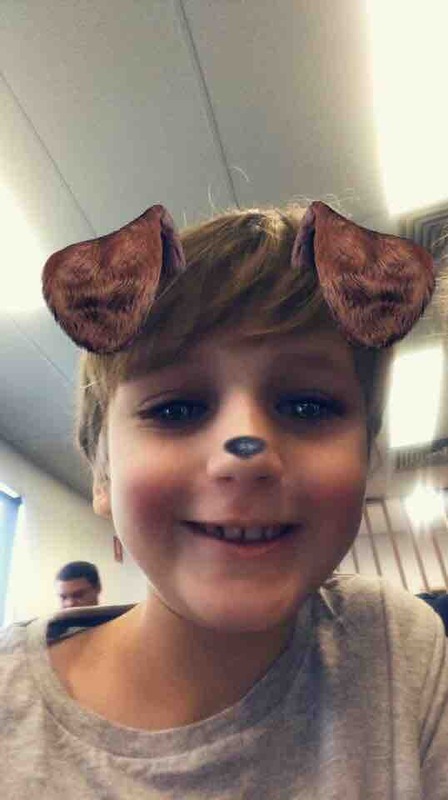 To think only 2 weeks ago he was a healthy 7 year old boy who loved school, soccer and playing with his friends. 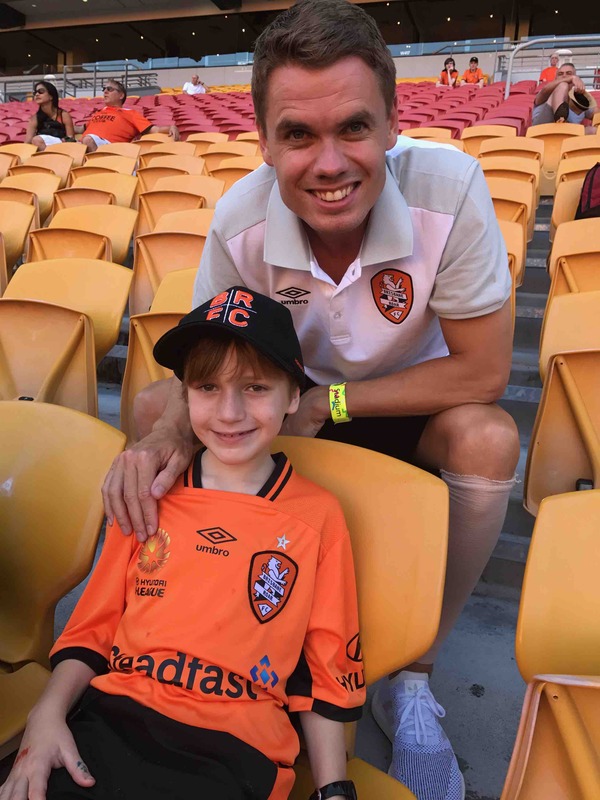 He loves Brisbane Roar, going to all their games and training sessions. Kynan has been in hospital since 1st September and will be there for many more weeks. We must work now for the full and complete recovery of Kynan. 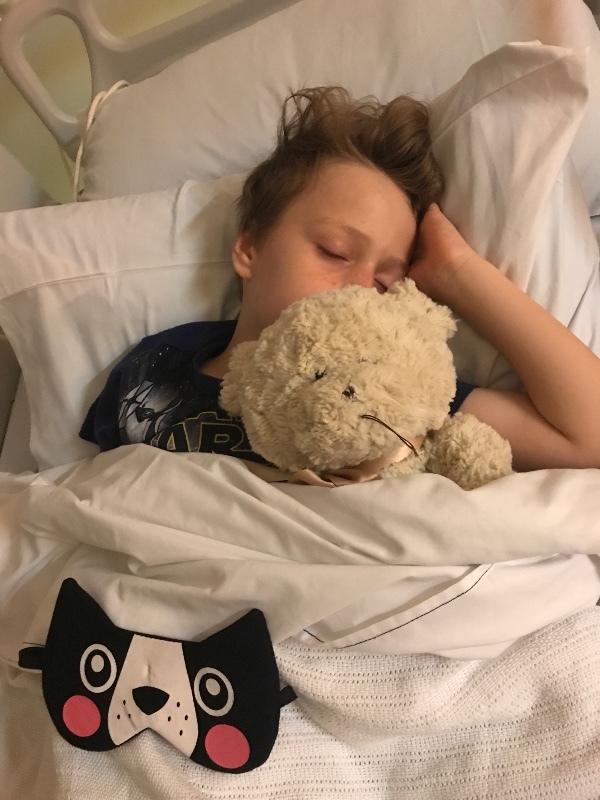 A GoFundMe account will facilitate expensive therapies, cochlear implant, weekly specialist appointments, accommodation, medical bills, equipment, travel costs, loss of income, support and care of their other children and future care for Kynan and his long road to recovery. 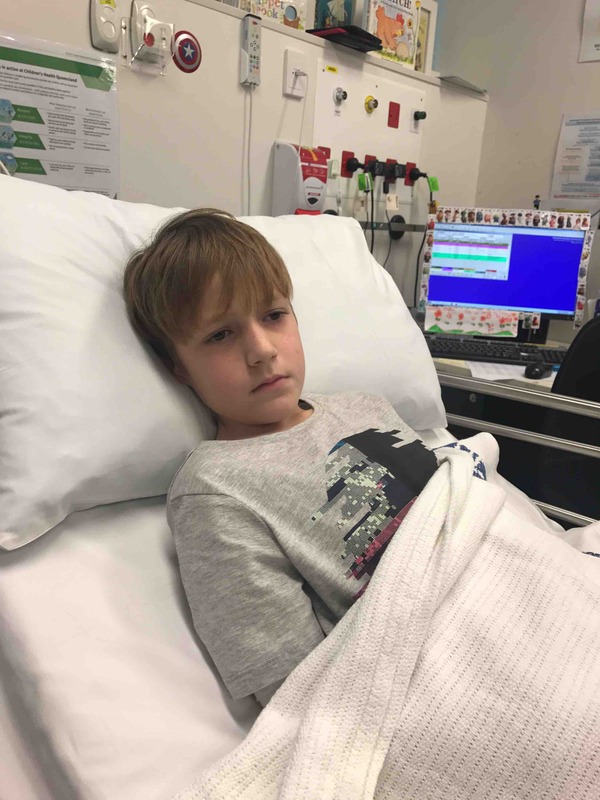 Kynan will need 4 months of treatment to hopefully dissolve the clot that has formed on his brain. He has had numerous tests, scans, operations and needles, with lots more to come. We would be so greatful for any help for these continuing expenses, anything is very much appreciated. Thank you for all your support and prayers! Hello everyone, since my last update, Kynan is doing so well. Every Tuesday he has his Audiology appointment and Speech Pathology. Also tomorrow he will have his first Haemoglobin review on the trial study for the blood clot on his brain. 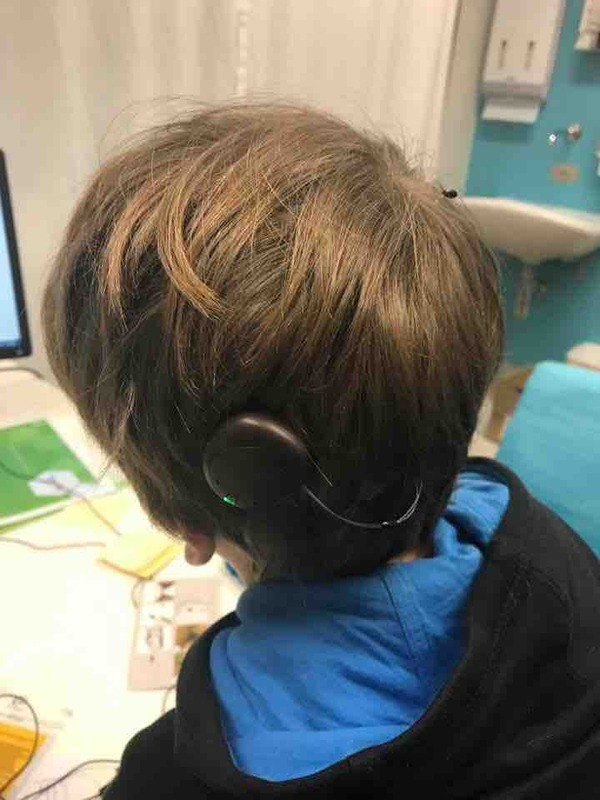 On Tuesday last week Kynan had his cochlear implants turned on and adjusted for the first of many "mapping " sessions. He should only hear noise which sounds different to what he was use to. He was so happy, he talked and sang to himself on the way home and asked his mum if he sounded like a robot! It should take a while for him to distinguish voices, but he is happy that he has something. On Thursday just 2 days after his first session Kynan wanted to go to school til 11am. 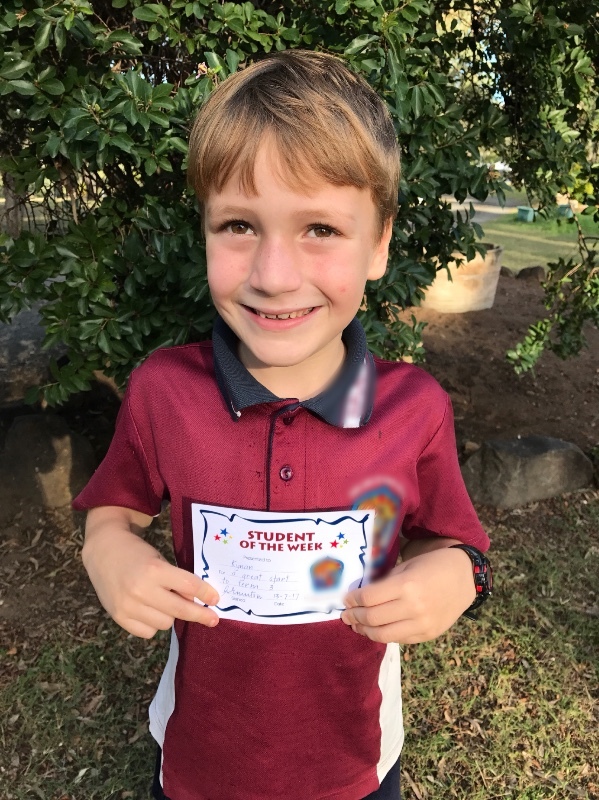 Kynan was so excited to get back to school to see all his teachers and friends. When he got home after school he heard his mums phone ring and also her VOICE. Michelle stood behind him so he wasn't lip reading and spoke loudly and he repeated what she said. Tomorrow is appointment day again so hopefully more positive outcomes. Kynan has been home from the hospital for a week. 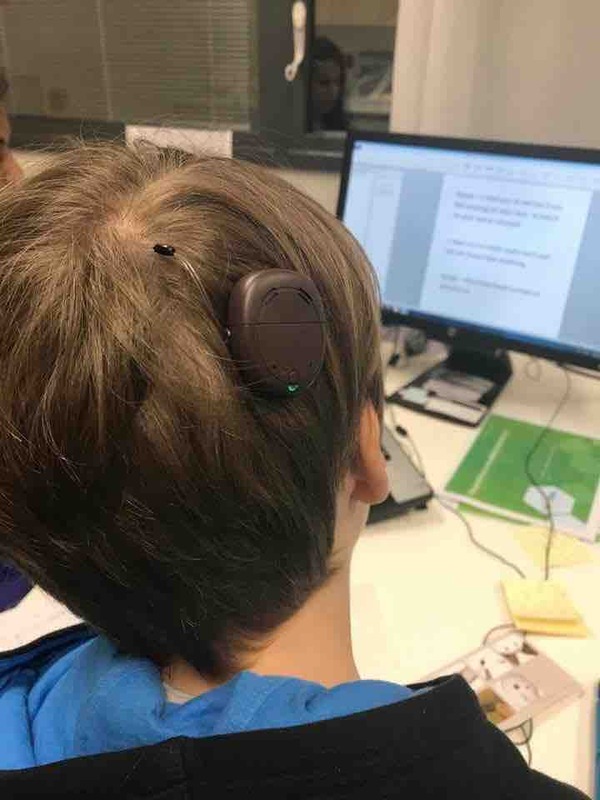 He is due to go back to the hospital to have the cochlear implants switched on on Tuesday. 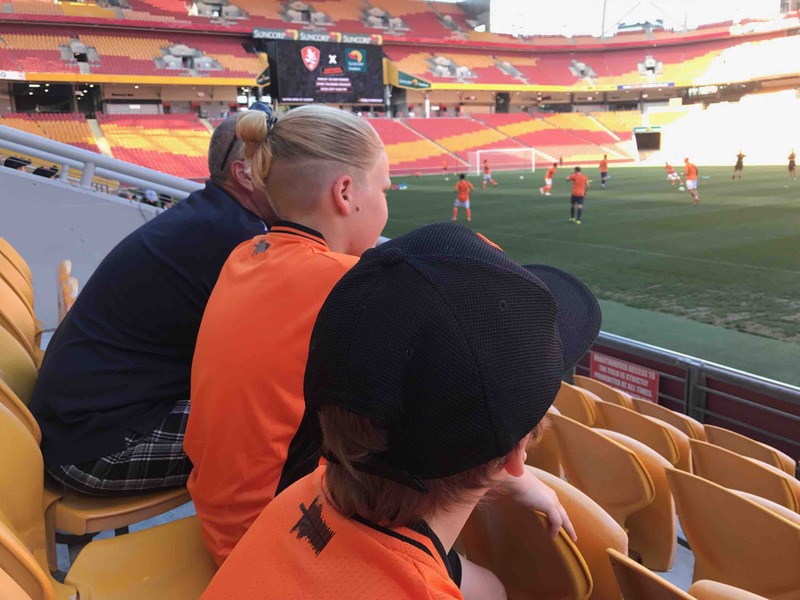 Brisbane Roar invited Kynan and his family to watch a members exclusive training session yesterday which put a smile back on Kynan's face. Thank you to everyone it means a lot to Kynan and his family. Hi everyone, Kynan's operation went well yesterday. If all is good he is due to go home tomorrow and has requested a steak for dinner. 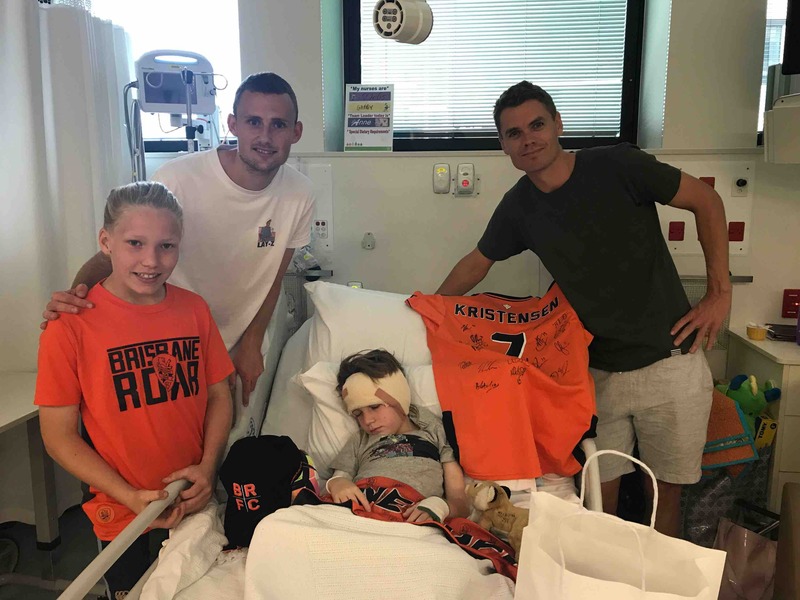 Players Daniel Bowles and Thomas Kristensen from The Brisbane Roar Football Club and Shane Stefanutto came to visit Kynan in hospital this morning after training. Thank you everyone that messaged or contacted Brisbane Roar, apparently they received a lot of messages. 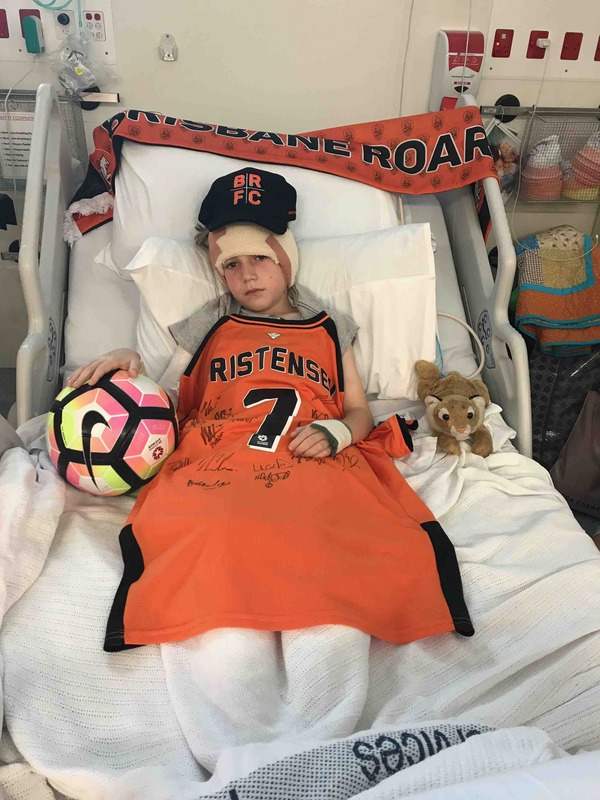 Also thanks to Matt Casey and Rheem Australia for donating 6 tickets for Kynan to go to a Roars game. Hello everyone, thanks again for all the lovely comments, prayers and donations. 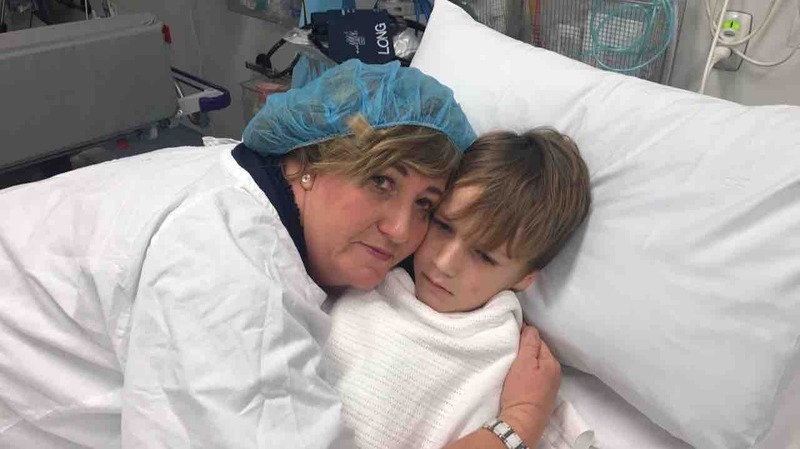 Kynan has just gone into surgery for his 2 cochlear implants. The doctors have said it's about a 4 hr operation, so I will keep you all updated. Kynan seems to be in good spirits, just taking it all in, his on concern was about being so hungry. The Australian Newspaper have been in to take photos and are writing an article about Kynan's ordeal. 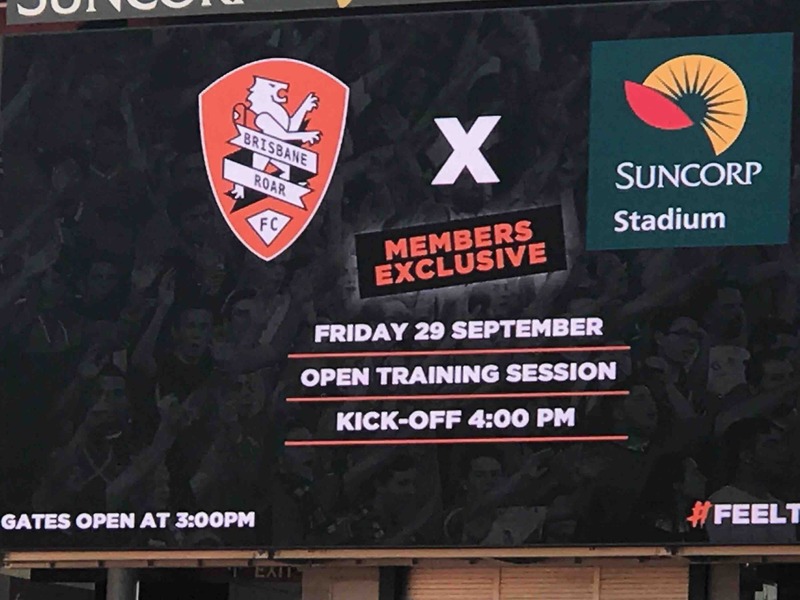 The Brisbane Roar have been in contact, but it's top secret, so you'll have to wait and see. Chris, Michelle, Callum, Declan and Kynan are eternally grateful for all the messages, prayers, comments and donations.